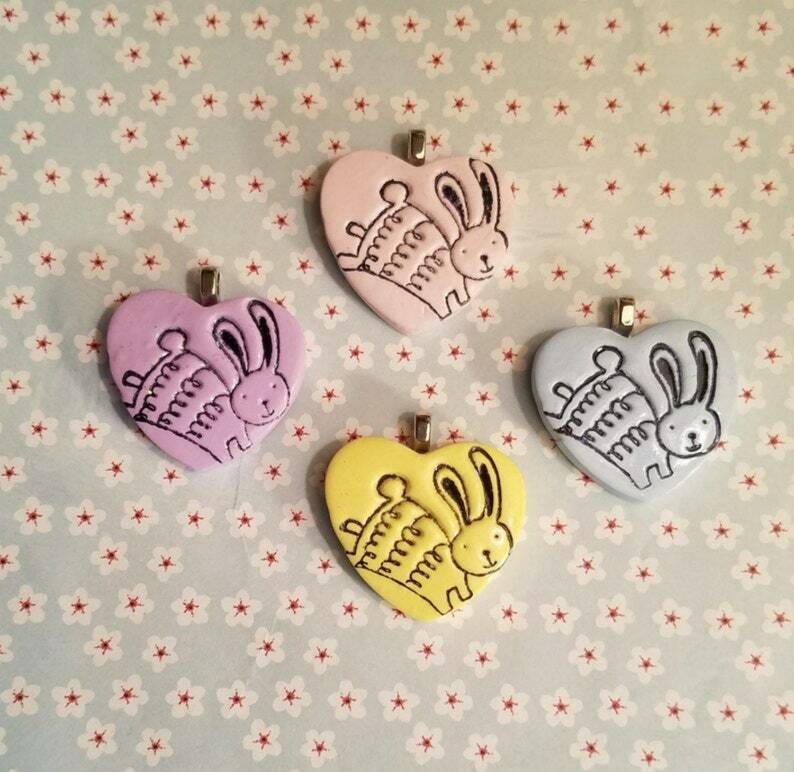 A cute bunny heart pendant is handmade of polymer clay in your choice of pink, lavender, blue or yellow. 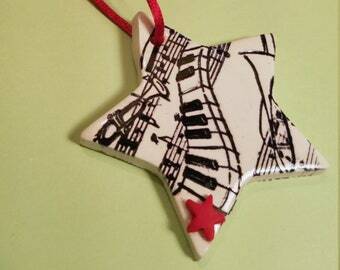 Stamped in black ink, sealed with acrylic varnish with tiny sparkles, and finished with a small silver plated bail. OPTIONAL CHAIN: Add a pretty shiny silver plated 18 inch vintage style chain, with oval loops approximately 3mm x 4mm and a lobster clasp closure.